Windows does not detect multiple monitors. Parallels Tools are not installed or are not functioning properly. 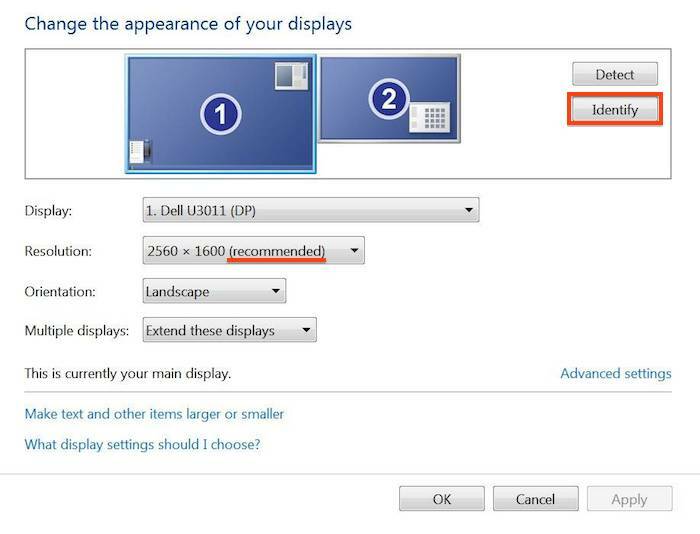 Once Parallels Tools are reinstalled, right click on Windows Desktop -> choose Screen Resolution-> click Identify button, then make sure the recommended resolution is chosen.